One of the most impressive insect pests that we deal with on vegetables are the hornworms (Figure 1 and 2). These two species, tomato and tobacco hornworm, can reach up to 4 inches long and consume massive quantities of foliage and fruit. 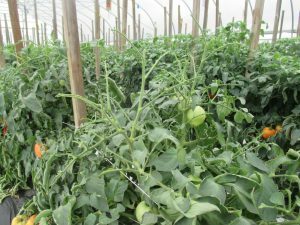 In recent years, we have seen damage in high tunnels that is more serious than we normally see in field situations. The good news is that despite their size, hornworms are relatively easy to kill. A wide variety of insecticides will control them. 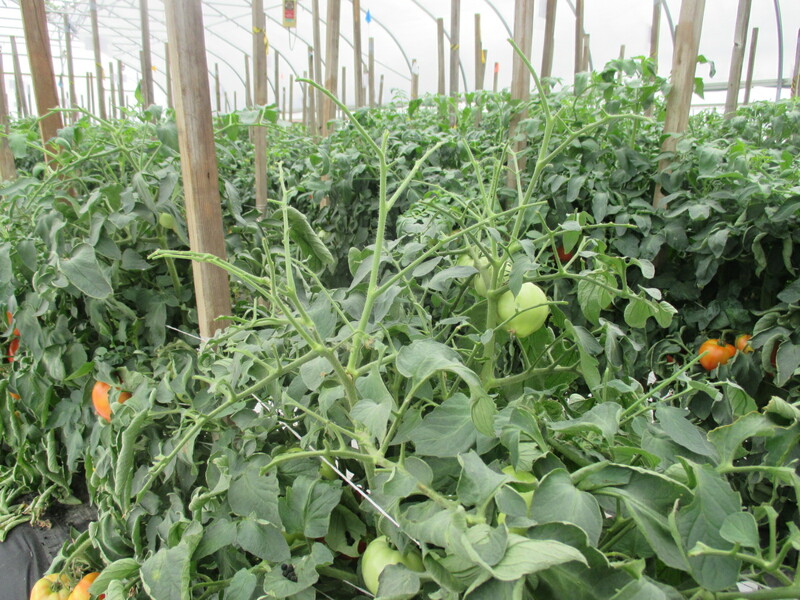 See pages 143-44 in the Midwest Vegetable Production Guide for choices. 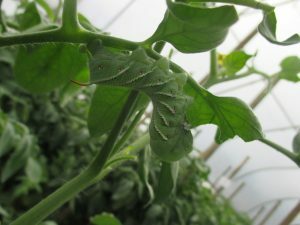 As with most pests, it is better to treat when the hornworms are small because they are easier to kill and because you can avoid most of their damage. Hornworm damage is usually fairly easy to see, either because of the defoliation or the frass (insect poop) that they leave behind. So, scout regularly and control them early.